In Belize, another perfect day in paradise means another day of endless possibilities. The weather’s ideal all year round and on any given day you can take your pick from terrain spanning jungles, ocean, beach and city. We know how can be hard to choose what to add to your itinerary! But don’t worry, we’ve got you covered. Here are some of the most popular things to do in Belize. Cool off with a caving trip to this amazing sacred cave often just called “ATM”. 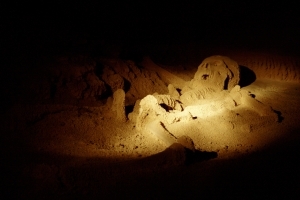 Not far from San Ignacio, this one-of-a-kind underground cavern features ancient Mayan artifacts. Once inside you can swim, climb and otherwise explore this incredible historic setting. Up in northern Belize, this enormous Mayan site has a name meaning “submerged crocodile”, and features ancient art depicting these fascinating creatures (and more). The the largest-known occupied Mayan site, it incorporates three pyramids, plazas and temples and even a 16th century Spanish church. The place to go to spot a jaguar up close. An expansive nature reserve, Cockscomb is brimming with all sorts of endangered species. 12 miles of trails stretch throughout, so take a trek to spot colorful native birds, tapirs, otters and more. Choose your trail wisely, as it’s impossible to cover it all in one day. Belize’s first marine park, Hol Chan Marine reserve spans coral reefs, seagrass beds and mangrove forests. Pop on your swim gear to snorkel with tropical fish, turtles and more. Depending on the time of year, you can also get up close with reef sharks and rays. This is the closest you’ll get to swimming in an aquarium. 25 miles long and surrounded by sparkling sea, Ambergris Caye is one of the most popular picks for a Belizean holiday. The snorkeling and diving is some of the best around, while San Pedro Town inland offers dining, shopping and entertainment. Made famous by Jacques Cousteau, the Great Blue Hole is an incredible diving spot dubbed a UNESCO heritage site in 2006. Its tunnels, caverns and vast underwater rock formations are ideal for exploring, and you’re bound to spot some lesser-known aquatic life. 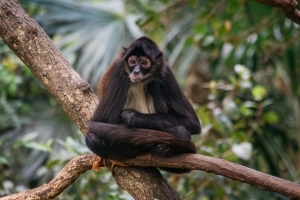 Just up the road from Placencia, Monkey River is named for its preponderance of howler monkeys. Book a tour to enjoy a hike through the jungle and a paddle along the river, and keep an eye out for tropical birds and unique wildlife like the manatee. Placencia draws travelers for good reason. A tranquil, out-of-the-way beach town on a beach-lined peninsula, it’s about as laid back as it gets. Relax on the only gold sand beaches in Belize, stroll the shop-lined main strip and explore the many foodie options on offer. No matter the day or time of year, Belize is full of things to do. If you need some help planning out your vacation itinerary, get in touch!